(5) provide certified transcripts, certifications, and/or license upon candidate processing and/or transfer, if the position requires a degree, certification, and/or license. On September 10, 2014, the Tollway began using an on-line application system to assist prospective and current employees in the job application process. This system allows users to create an individual account, create and maintain a profile of education, experience and certifications, identify job interest categories, search for open positions, and submit job applications. This system automatically notifies users of recently posted jobs based on the job interest categories chosen. For the employee to be notified of open positions and submit job applications, this system requires the user to have an email account. This could either be a personal account (i.e. Gmail, Yahoo) or getipass.com account. Completed applications may be mailed to the Tollway or dropped off in person at the agency’s Downers Grove headquarters between the hours of 8 a.m. and 4:30 p.m., Monday through Friday. All applications must be received within the dates indicated on the job posting. If you require further information regarding open positions please contact Human Resources at 630-241-6800 extension 2333. All applications must be received by the application deadline indicated on the qualification sheet or Internet site. In compliance with the Americans with Disabilities Act (ADA), 42 U.S.C. 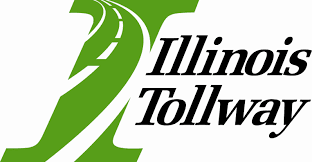 12101 et seq., and the Illinois Human Rights Act, 775 ILCS 5/1-101 et seq., the Illinois Tollway actively takes steps to ensure that our employment application process is accessible to persons with disabilities.